There are many people out there that would like to build an aluminum boat, but don’t have access to a TIG welder that is capable of doing the job. 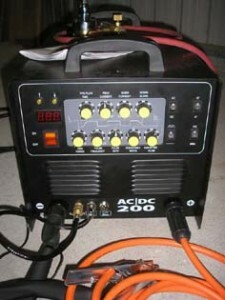 Designer Boats Australia owns a UNITIG AC/DC 200 Square Wave 240V TIG welder that is specifically set up for welding aluminum. The square wave gives you better control over the welder and enables you to adjust settings to ensure excellent penetration and excellent weld quality. 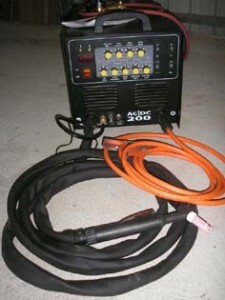 You will need a 240V 15 amp circuit, (25amp circuit breaker) in your workshop to run the welder properly. The recommended wire filler rods are Alum 5356 and the diameter is 1.6mm or 2.4mm. It has a work radius of about 2m and easily moved around the boat for use. The welder uses Argon gas in a E2 size cylinder, that can be hired separately from any gas supplier. I will hire the unit with the gas cylinder but it is simple to arrange and easier if you do it yourself. 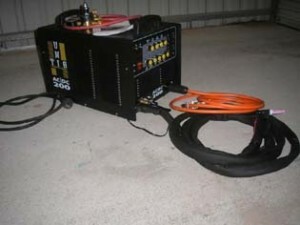 The welder and equipment are worth about $2500 and anyone wishing to hire it will need to supply a $2000 holding deposit that is returned to the user on a safe return of the welder. If you would like to hire the welder, please down load the hire agreement or contact us, to arrange the hire.